Telluride Angler will hold a lottery for a Scott F2 703-3 fly rod among all rod purchasers between November 20 and December 25, 2018. For each rod purchased, your name will be entered into a December 26th drawing for this fine fly rod. The winner will be notified December 26th and the rod will be shipped immediately, free of charge, anywhere in the world. 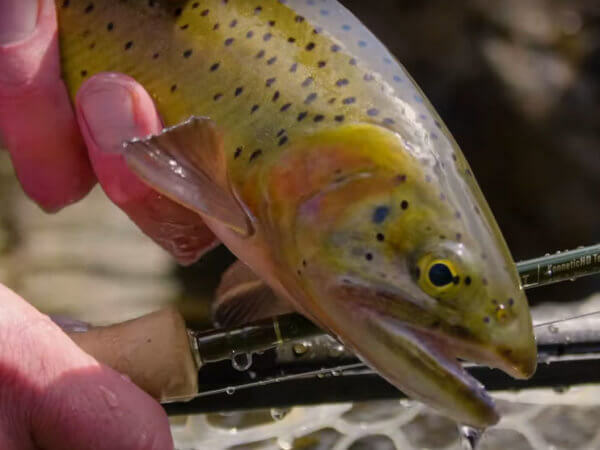 All rod purchases in this period qualify for entry into the drawing, including sale fly rods, rods purchased on this online store, by telephone, snail mail, fax or in our fly shop in Telluride. Beginner’s kit packages do not count, however. Telluride Angler staff are not eligible for the drawing. There is no limit to the number of rods purchased in the month. Buying multiple rods will qualify the purchaser for a corresponding number of drawing entries. This lottery is open to both U.S. and international customers. Game on and good luck!